Did you know more than a million homes in the United States aren’t properly insulated and, as a result, are costing their homeowners hundreds and sometimes thousands of dollars? Home insulation is one of the best ways to maximize energy savings and make sure your house stays comfortable year round! Whether you own a home near the golf course or you’re up north near Lake Ellyn, our experienced installation technicians can help you with all your insulation needs. ThermaSeal / Lakeside can provide accurate, no-obligation quotes and project assessments to help you understand the scope of the work, as well as performing complete installations. Get a free quote in Glen Ellyn, IL today! Give us a call at 800-836-2535 or fill out the contact form on this page. As we mentioned, insulating your home is one of the best ways to ensure its energy efficiency isn’t compromised—and it more than pays for itself. We see some pretty brutal winters and sweltering summers here in Glen Ellyn—but sufficient home insulation will keep your home nice and comfy. From lower energy bills to potential increased resale value and improved AC and furnace efficiency, a well insulated home can offer many benefits! If you’re a business owner who wants to lower your overheads, we can help! 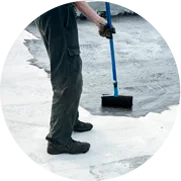 ThermaSeal / Lakeside Insulation has been insulating office and commercial buildings in the Glen Ellyn, Illinois area and has the expertise and experience to recommend the right material and install it correctly so you can start saving. Attic Insulation: Your attic is one of the best places to insulate, as it is one of the biggest culprits when it comes to home energy loss. Warm air rises, and if your attic isn’t insulated—or doesn’t have enough insulation—all that heat will escape right out, leaving your home a lot less comfortable in the winter. During the summer, an attic that isn’t insulated is much hotter, which makes the rest of your home a lot toastier as well! Wall Insulation: Wall insulation provides not only decreased heating and cooling costs and a more comfortable home, but also superior soundproofing. If you’ve ever been in a home that doesn’t have wall insulation, you may have noticed how loud traffic and other outside noises seem! Basement Insulation: The lowest level of your home offers a lot of potential for energy savings—but not if it isn’t well insulated! Even if your basement is unfinished and you don’t go down there a lot, don’t overlook it when it comes time to re-insulate. Crawl Space Insulation: For a space so small, your crawl space can have a significant impact on your energy costs. If you don’t insulate your crawl space, your home can be subjected to all kinds of moisture problems and skyrocketing energy bills! Whether your house has a ventilated or unventilated crawl space, our insulation contractors in Glen Ellyn can help. Fiberglass Insulation: Fiberglass is one of the most popular and cost-effective types of insulation material; it is also one of the most effective products at stopping heat transfer and can be installed anywhere in your home, from basement ceilings to walls and around ductwork. Cellulose Insulation: One of the most environmentally friendly insulation products, cellulose consists of mostly recycled materials. It’s similar to fiberglass insulation and provides good sound control and can work well in many areas of your home. 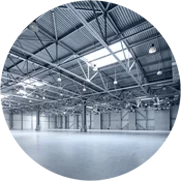 Spray Foam Insulation: Spray foam insulation is ideal for those small spaces, like the tiny cracks, gaps and crevices in your home’s envelope where air leaks in and out. When stopping air infiltration is critical, spray foam insulation is one of the best solutions! Radiant Barrier Insulation: Radiant barrier (or foil) insulation is ideal for attics where the sun’s rays can greatly impact the temperature. It works by reflecting heat away from your home before it can penetrate the house. 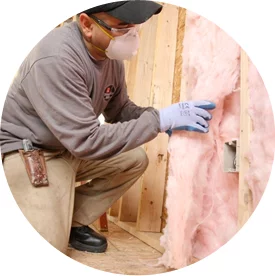 No matter what insulation needs you have, our insulation contractors can handle them in a professional, timely and safe manner. We’ll install your insulation right the first time to make sure your energy savings are maximized! Contact us online or by phone at 800-836-2535 to schedule a FREE QUOTE in Glen Ellyn, IL!